Frayda Bluestein joined the School of Government (then the Institute of Government) in 1991. From 2006 to 2017 she served as the School's associate dean for faculty development. Prior to joining the School, she worked in private law practice, focusing primarily on municipal and land use law, and for one year in the Legislative Drafting Division of the North Carolina General Assembly. Her publications include books and articles about local government structure and authority, public contracting, conflicts of interest, and transparency laws. She is a frequent contributor to the School's Coates' Canons: NC Local Government Law blog, writing on topics including North Carolina local government authority, annexation, public records, open meetings, conflicts of interest, and First Amendment issues affecting local government. 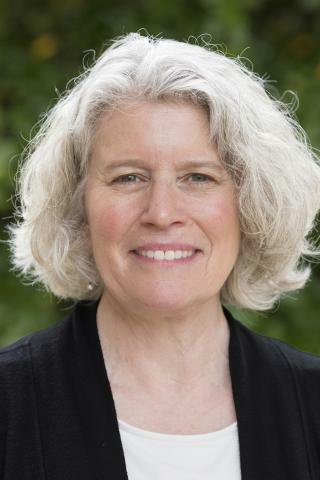 She was awarded the School of Government's two-year professorship for outstanding junior faculty achievement in 1998, the two-year professorship for teaching excellence in 2004, and the David M. Lawrence Distinguished Professorship in 2014. In 2016, Bluestein was honored with the Grainger Barrett Award for Excellence from the Government and Public Sector Section of the North Carolina Bar Association and the Ernest H. Ball Award for Excellence in Municipal Law from the North Carolina Association of Municipal Attorneys. Bluestein earned a BA from the University of California at Berkeley and a JD from the University of California at Davis.